Congratulations to Amber Harper-Camomile, March's Bride of the Month! 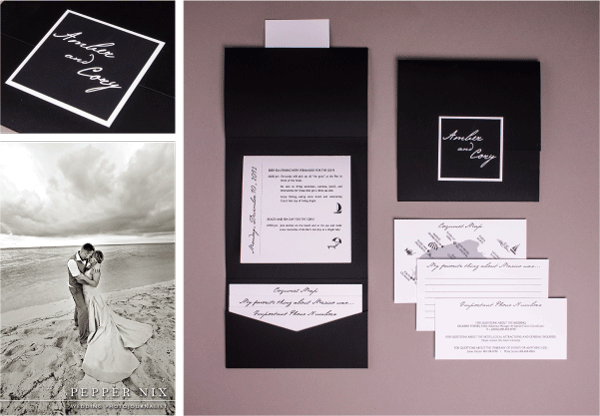 We are proud and excited to be featuring Amber Harper-Camomile and her amazing destination wedding paper suite. Amber shares some great advice to what to expect when planning a destination wedding. 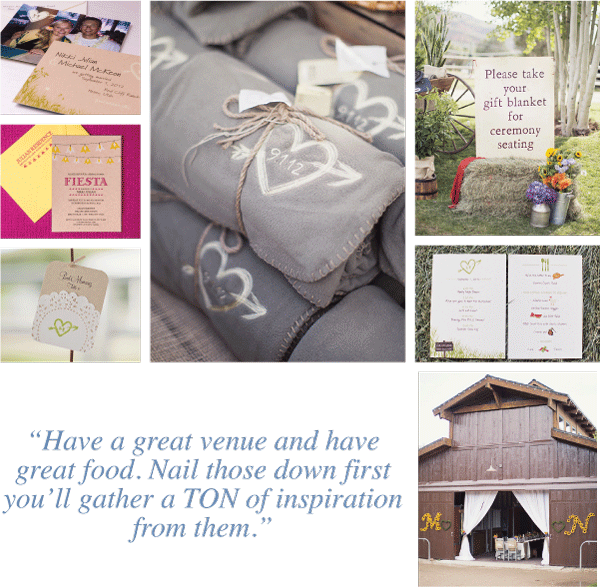 There is so much detail and organization that goes into making a wedding like this one a complete success! We loved working with Amber from start to finish and were thrilled to hear all about her wedding once she returned from her wedding in Cozumel, Mexico. Our invitation consultant, Ruth Sorenson, sat down with Amber recently to talk about her wedding and her paper goods. 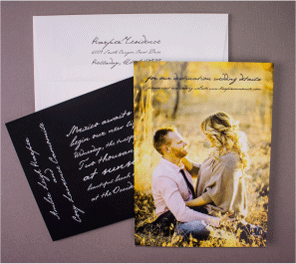 We hope that you will love Amber’s “black and white” invitations as much as we do. Ruth: So what was your initial idea of what you wanted when you first came to Ann Elizabeth for your wedding invitations?Amber: My wedding was a destination wedding and my guests already knew that they were going to Mexico. 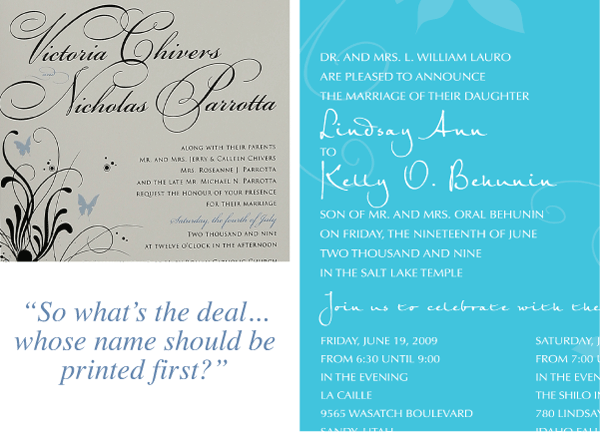 I wanted to do a fun, non-traditional type invite that read like a poem telling guests to meet us in Mexico with flip-flops.Ruth: When we took your ideas and put them in the proofing process how did that work for you?Amber: After looking at the first proofs I realized that I did want a more formal invitation stating this is the wedding of Amber and Cory and I wanted that for my parents too. So my ideas totally changed as we progressed and I feel like the proofing process helped me to see what I really wanted. Ultimately the mailed invitation was just a hint of what was to come. 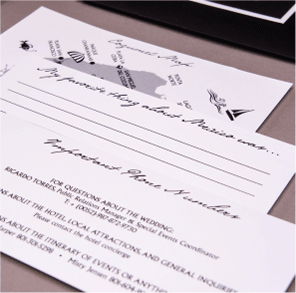 I had much more in store for my guests with a detailed black and white itinerary. 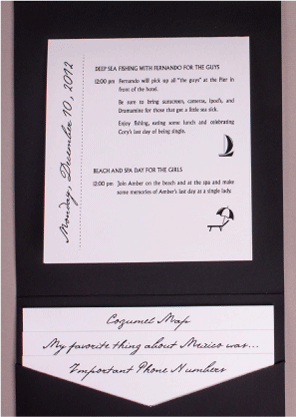 I also loved the oversized black and white letter that I gave with the welcome bags to my guests.Ruth: When we selectd papers for your itinerary packets there was a lot of discussion of how the paper would hold up over several days of use in Mexico. How did the paper live up to your expectations?Amber: The itinerary helped so much to organize and communicate all the things we had planned for the week. I don’t think I realized how difficult it would be to keep track of everyone through all of the excitement of being in Mexico. So having a detailed, quality paper itinerary was so useful for my guests because they really did haul those itineraries around with them everywhere. 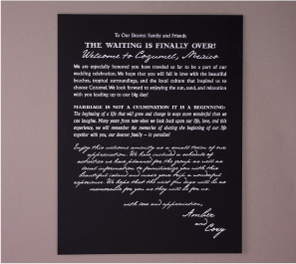 Ruth: What feedback did you receive on your printed goods?Amber: Everyone loved everything about the invitations and itineraries. My Dad was especially pleased with them... in fact he said he would have paid triple for them after seeing the quality workmanship that went into them.Ruth: What advice would you give other brides that are planning a destination wedding?Amber: First, I’ll tell you that a destination wedding is a lot of work - I’ll tell you that! But I realized that all of the little things I thought were so important and I stressed over like, everyone wear linen, was actually not something I needed to worry about. Just remember that this is the most important day of your life because you’re with all of your family and loved ones. Second, keep yourself organized and be patient. A lot of the wedding planning is done over email and it can get stressful at times. Ruth: How was the ceremony? Everything we’ve heard about it sounds magical?Amber: I was adamant about Cory not seeing me before the wedding. So the night before the wedding the photographer suggested doing a reveal. If you don’t know what that is (I didn’t either!) it’s where you reveal yourself to one another before the ceremony. Then you can take the time to get all the pictures done and not take up time during the wedding when all you want to do is join your guests. I am so glad we did it because it turned out beautifully we had two hours to spend with one another taking pictures in a really relaxing way. Plus, right before the ceremony there was a huge down pour of rain so I was grateful I listened to her advice to get the pictures done first! Luckily, the rain did clear up for the ceremony and my brother performed our ceremony so it was very special to me.Ruth: How was your experience with us from start to finish?Amber: It was great from the time I came in with my ideas to me wanting to switch everything. You guys were so amazing to work with and help my vision come to life. I’ve had so many people ask me where I got my invitations and I love telling them Ann Elizabeth!Ruth: It’s been a pleasure working with you Amber and I’ve loved helping make your experience with us a good one! A special thank you to Amber's amazing photographer, Pepper Nix for sharing Amber's wedding photographs with us! If you're wondering where this gorgeous event took place, check out The Occidental Grand Resort in Cozumel, Mexico.